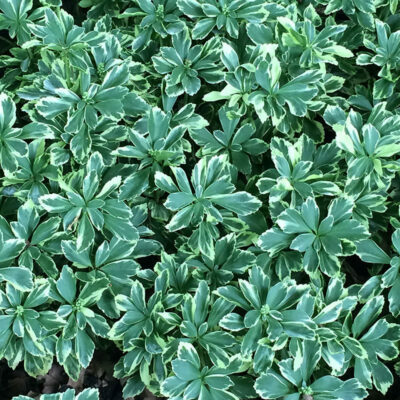 This evergreen groundcover will brighten the dark sections of your shade garden with its light blueish-green foliage and creamy leaf margins. 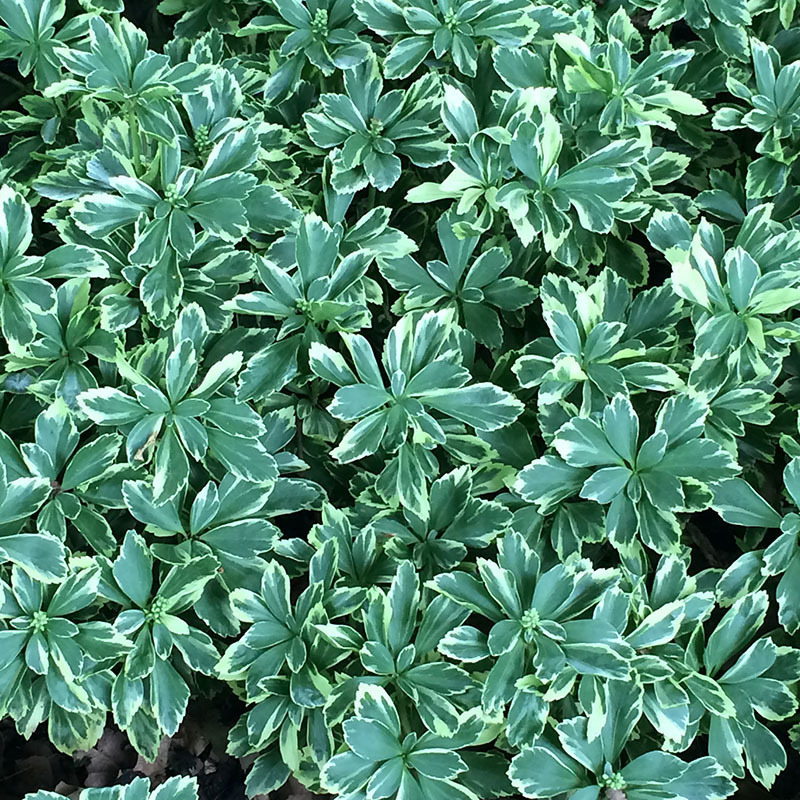 Plants form a tidy, uniform groundcover with year-round good color, keeping out weeds and providing erosion control where needed. Flowers are white and small, blending with the foliage. With this plant, it’s all about the lovely, smooth, clean carpet of foliage. Plant in full to part shade. Avoid hot, dry, sunny locations as the leaves will scorch in these conditions. Height 6-8″. Deer resistant. Zones 5-9.